Mary Barbara Bittner, age 82, of Kenosha passed away at Froedtert Memorial Hospital in Wauwatosa. Barb was born on December 10, 1936 in Kenosha to James and Cecilia (Martin) Simmons. 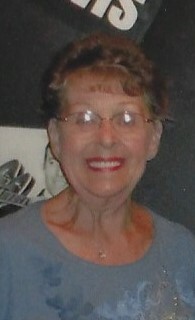 She was educated in Kenosha area schools and graduated from Mary D. Bradford High School in 1954. Barb married David Bittner on August 25, 1956 at St. Mary’s Catholic Church. She worked for several years as a pharmacy assistant at Walgreens, she was the assistant to the director of the Kenosha Special Olympics and she volunteered for many years with the Kenosha Special Olympics. Barb was a member of the Red Hat Society and enjoyed the lunch meetings with the ladies. She was an avid reader, enjoying as many as 4-5 books a week, she loved the beach and traveling, enjoyed music, especially Elvis and she was a lifelong Packer and Cubs fan. Her greatest joy was the time she spent with her children and grandchildren. She was preceded in death by, her husband, David in 2017; her parents; two brothers, Thomas and William Simmons and two sisters, Catherine and Mary Simmons. Barb is survived by, her son, Ron Bittner of Janesville; two daughters, Linda (Kevin) Nelson of Atlanta, GA and Mary Beth Bittner of Kenosha; six grandchildren, Melissa (Jonathan) Gailey, Cynthia (Josh) Mobley, Shelley (Weston) Hollor, Bryan Nelson, Cynthia Bittner and David Bittner; six great grandchildren, Niko, Hannah, Madison, McKenzie, James and Evelyn as well as nieces, nephews and friends. A Mass of Christian Burial will be held on Saturday, April 6, 2019 at 10:30 AM at St. Mary’s Catholic Church (7307 – 40th Avenue). A visitation with the family will be on Saturday at the church from 9:30 AM until the time of mass. Burial will follow at All Saints Catholic Cemetery. In lieu of flowers, memorials to either Kenosha Achievement Center or to Kenosha Special Olympics would be appreciated. Barb’s family would like to express their sincerest gratitude to the staff of Froedtert South Kenosha Campus for the excellent care they gave to her. They would also like to express how much she will be missed because in their family Barb was the foundation that kept everyone together. She will be deeply missed. So sorry for your loss. She was a most gracious lady. Blessings and sorrow from 2 Bobs!, another angel looking over us..